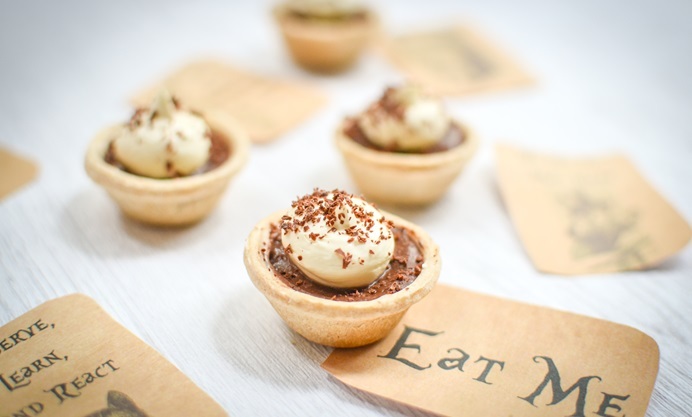 These delightful mini chocolate mousse tarts from Urvashi Roe will add a layer of chocolate indulgence to your afternoon tea party. These are best served with Clipper Gold Tea - the hint of maltiness from the Assam used in the blend pairs gorgeously with chocolate. For more fantastical Mad Hatter's tea party recipes, visit our page celebrating the 150th anniversary of the publication of Alice's Adventures in Wonderland. Don't be alarmed by the tin of chickpeas included among the ingredients of Urvashi's miniature mousses. It is the starchy water, rather than the chickpeas themselves, that is used, a vegan substitute for egg that has proved very successful in baking and desserts over the last few months. 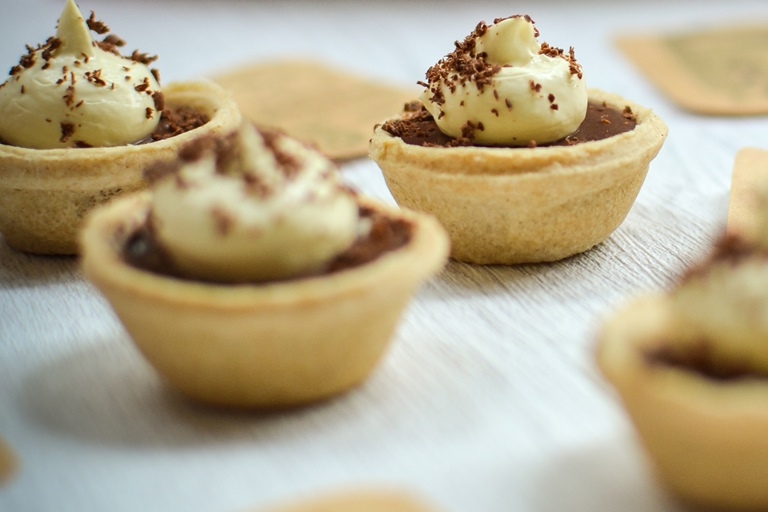 The liquid helps to bind the rich, creamy mousse which is then popped into pastry cases to minimise mess.